5 When the menu appears, click Borders and Shading. 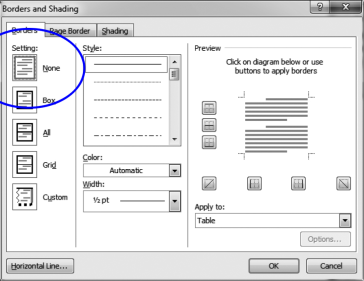 6 When the Borders and Shading window appears, make sure the Borders tab is on top. Then click None for the Setting. 7 Click the OK button.